“Some days my example is much shinier than others, but I have learned to accept the hard days also.” When I started my journey of recovery twelve years ago, I could not even fathom being able to go a single day without a drug. Without taking something to numb the pain. Except, to be honest, the drugs no longer relieved the pain. For me, like countless others, my journey started because I couldn’t die, although I had tried desperately. But I also couldn’t imagine living the way I was, or rather, merely existing, one day longer. Every day felt like “Groundhog Day” (yes, like the movie), reliving the same nightmare day after day. Twelve years ago I was hopeless, suicidal and felt like a waste of life. It was from that desperate point I started a journey which, at the time, I didn’t even believe I deserved. I have been blessed to be surrounded by many throughout my journey of recovery who have helped me to “believe that they believe”, which, at the times when I needed it the most, was just enough to keep me going. I wish that I could pin point or answer why I have been blessed to celebrate twelve years of sobriety, when too many others lose their lives in this horrific battle. I can not give any logical reason. All I can share, and something that still rings true to me after all these years of fighting the battle, is the understanding that I may not be responsible for my disease, but I am 100% responsible for the solution and for what I do with it. “It is especially important to allow them to love me when I can’t love myself” I don’t attest to have all the answers. I know that my personal journey of recovery is going to look very different from another’s, and that is okay. I believe that for as many hundreds of thousands of individuals suffering from addiction, there may be as many diverse paths to, and definitions of, recovery. For me, personally, my definition of recovery is in constant evolution. My recovery is much deeper than just sobriety, although that is my foundation. Recovery is about three vital components: spirituality, connection, and healing. Let me explain how I view each of these in relation to my recovery. Spirituality is practicing hope and faith that something greater than myself is in charge, and I am not. Connection plays a crucial role because of the power that comes from staying connected to, first, a higher power; next, others in recovery; and also, rebuilding relationships with family and those who hold me accountable. It is especially important to allow them to love me when I can’t love myself. Also, making new connections by continuing to try new things and being of service to the community has helped me build a life worth living. Last but not least, healing covers several aspects of recovery. It means finding forgiveness and acceptance of my past and myself; finding beauty and gifts in the wake of my trauma (it has taken me 12 years to get here); continuing to peel back the layers and look at myself through the eyes of my higher power; and allowing feelings to flow. This has been a particularly scary one, and I still don’t always do it gracefully. I’m twelve years into my journey, and some days I feel like I know less about recovery than I did my first year of sobriety. Today I accept that fact, as it keeps me humble and teachable. I continue to embrace the “one day at a time” mantra, as anything more than that can still be overwhelming. I continue to do my best to stay out of my head and live from my heart, which, for a busy brain like mine, is very difficult most days. I continue to strive to live as an example to others of the beautiful possibilities that recovery brings. Some days my example is much shinier than others, but I have learned to accept the hard days also. 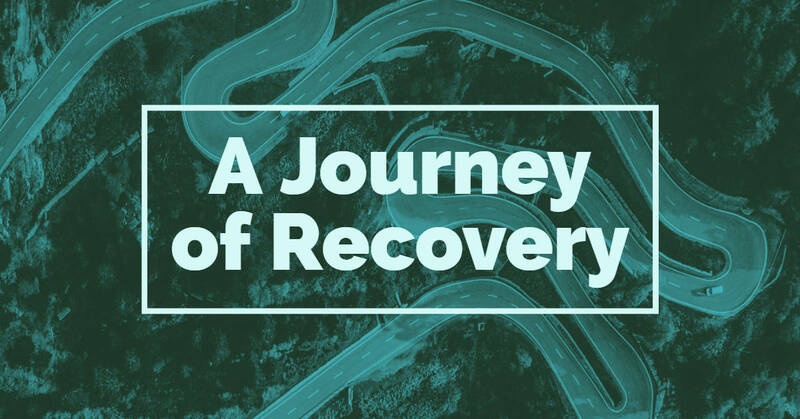 The deeper I get into my own journey of recovery, the more I understand and accept that recovery is absolutely a journey, and not a destination. Or subscribe to our addiction recovery podcast!